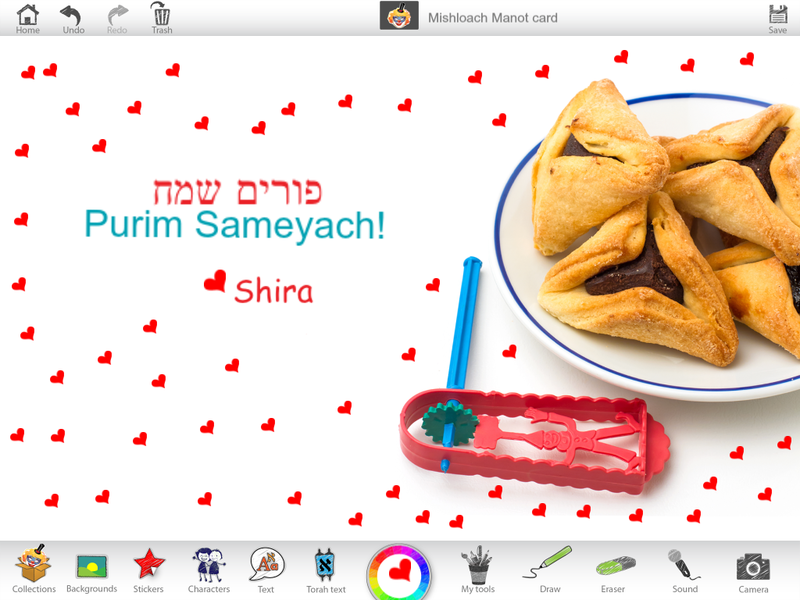 Purim falls on the 14th of Adar and commemorates the salvation of the Jewish people from annihilation by the Persian kingdom. 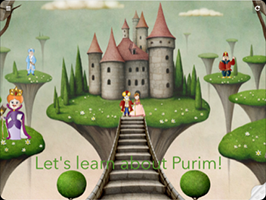 Because so many Jews were threatened during the Purim story and so many saved, the Purim was established by the Rabbis as a festival (see Esther 9:31) in order to celebrate their salvation. 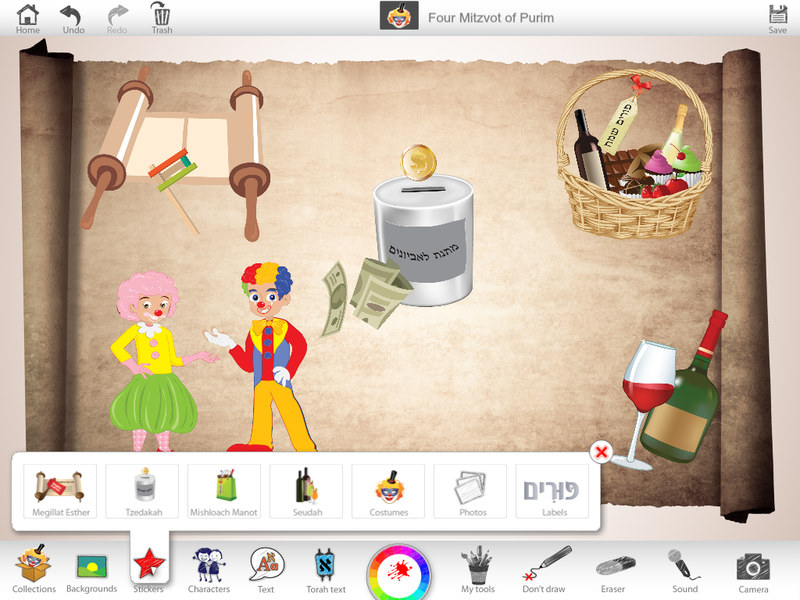 Given that Purim was celebrated on the 15th of Adar in the walled city of Shushan, nowadays Purim is celebrated on the 14th of Adar in most places but on the 15th of Adar in ancient walled cities like Jerusalem (see Esther 9:18). Based on the interpretation of the verses at the end of the Book of Esther, the Rabbis established four mitzvot for Purim: מִקְרָא מְגִלָּה (the reading of the Megillah on the night of the 14th of Adar and again in the morning); מִשְׁלוֹחַ מָנוֹת (the distribution of at least one food parcel of two types of food to a friend); מַתָּנוֹת לָאֶבְיֹנִים (the distribution of charity to at least two people) and סְעוּדַת פּוּרִים (having a festive meal for Purim). 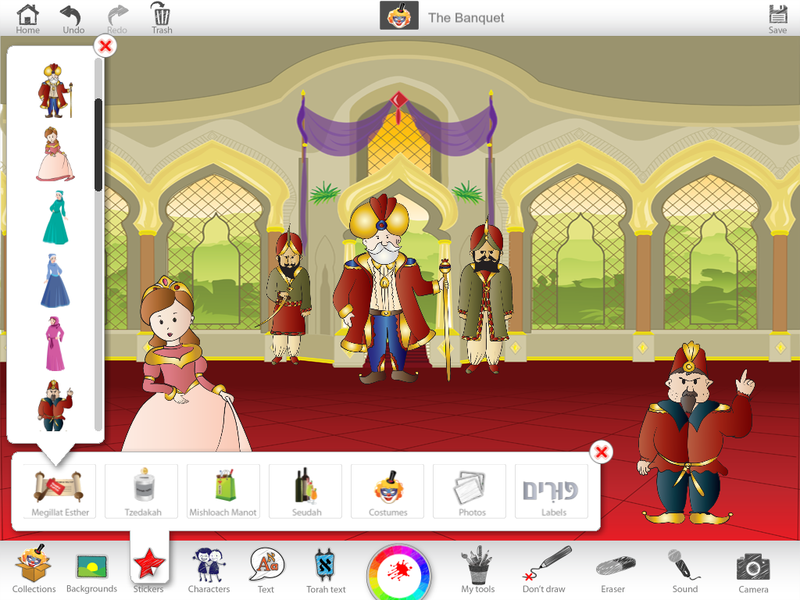 Megillat Esther is read from a scroll and special blessings are recited prior to the reading of the Megillah. 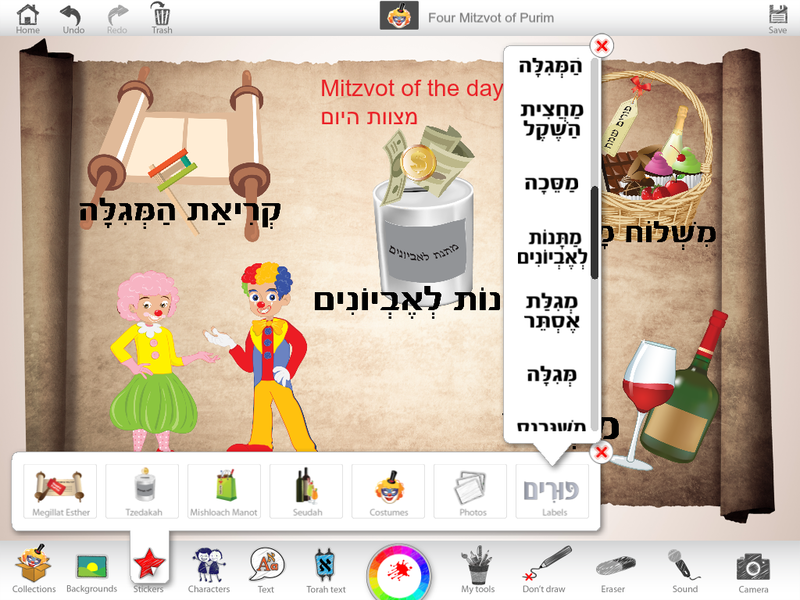 During the Megillah it is customary to read some verses out loud, and make noise each time the name of הָמָן is mentioned. 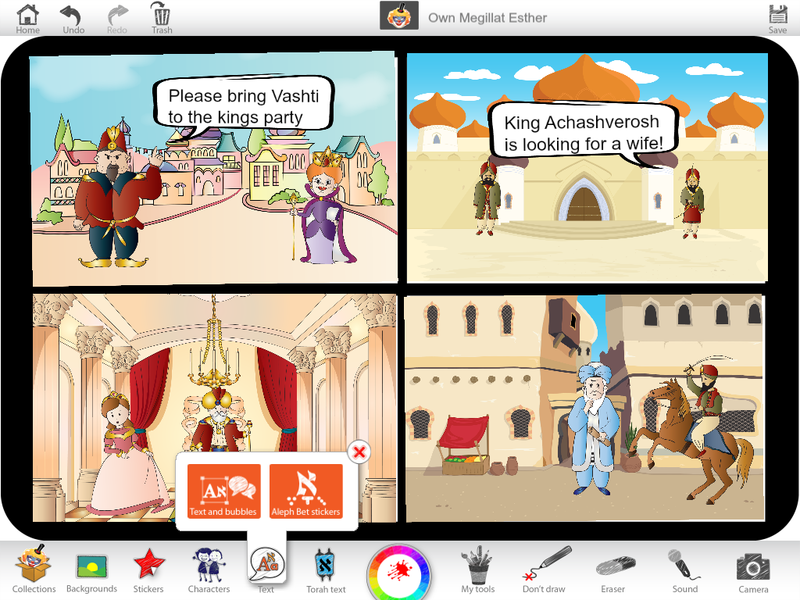 Unusually for a Biblical Book, Megillat Esther does not contain the name of God. The Rabbis explain that this is because the Purim story shows the ‘hidden’ hand of God in our daily lives. 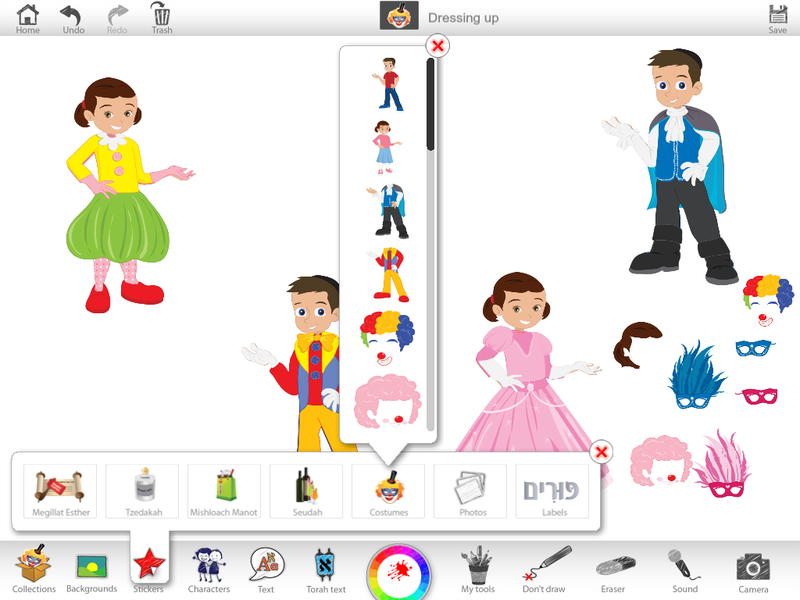 Given this, it is customary to dress up on Purim because dressing up ‘hides’ a person’s identity. 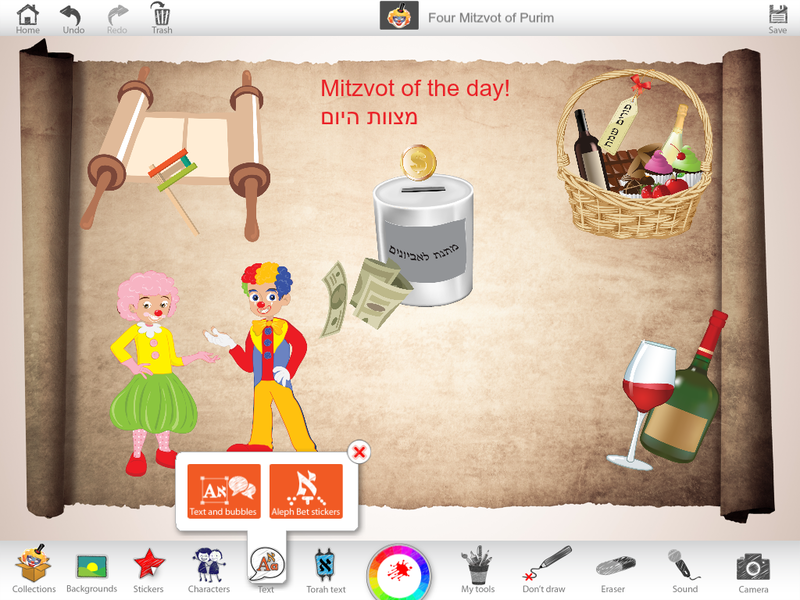 On Purim, we add the prayer of עַל הַנִּיסִּים to the Amidah and Birkat Hamazon. 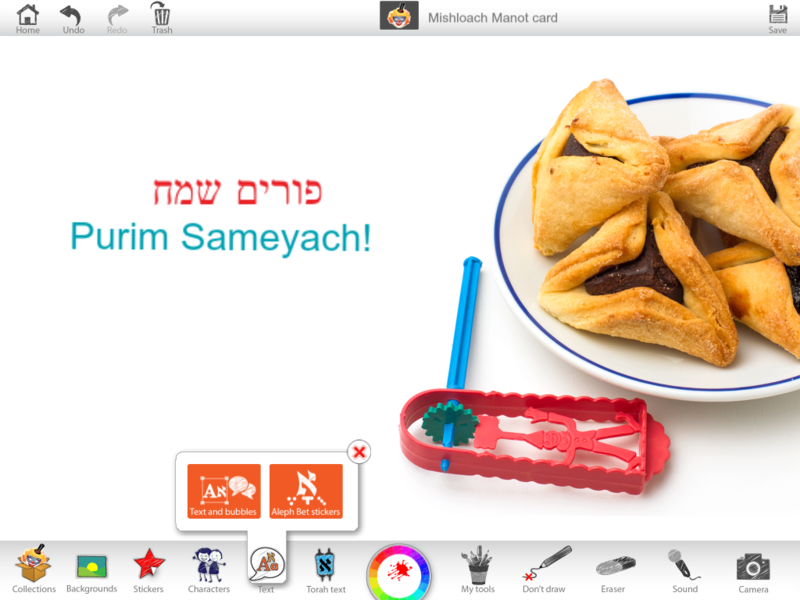 While we would expect to recite הַלֵּל on a day of salvation such as Purim, the Rabbis said that this is unnecessary as the reading of the Megillah is itself a type of הַלֵּל. 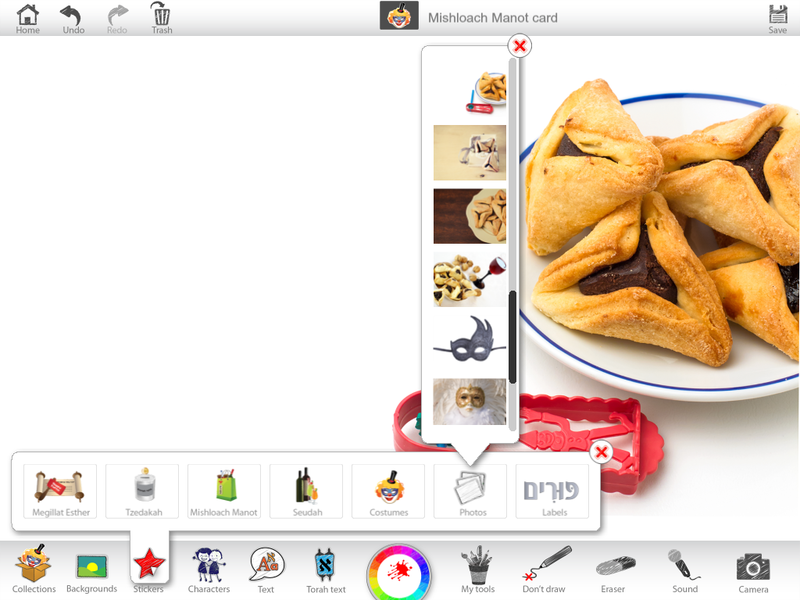 Review the custom of distributing Mishloach Manot to friends on Purim. 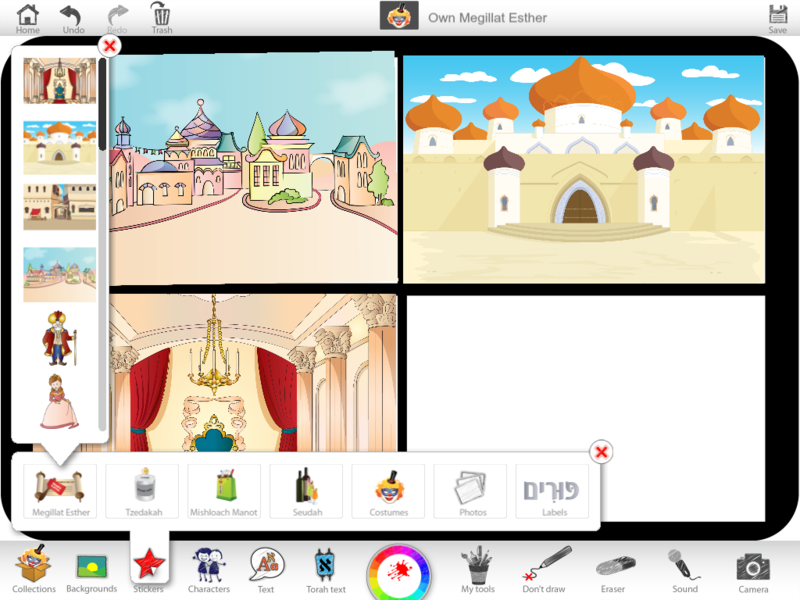 Review the story of Esther and choose 4-5 scenes from the Purim story that you want to depict. 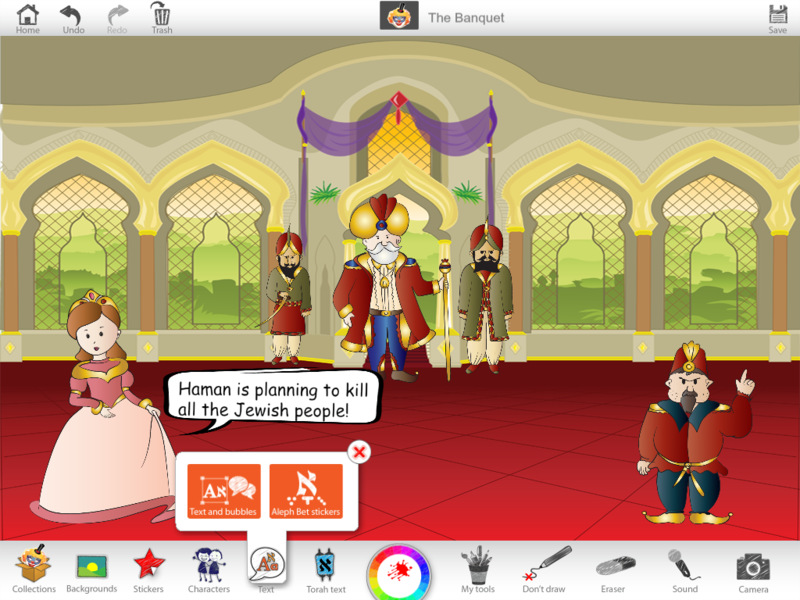 Review the Purim story and specifically the moment when Esther reveals that Haman has been plotting to kill the Jews. 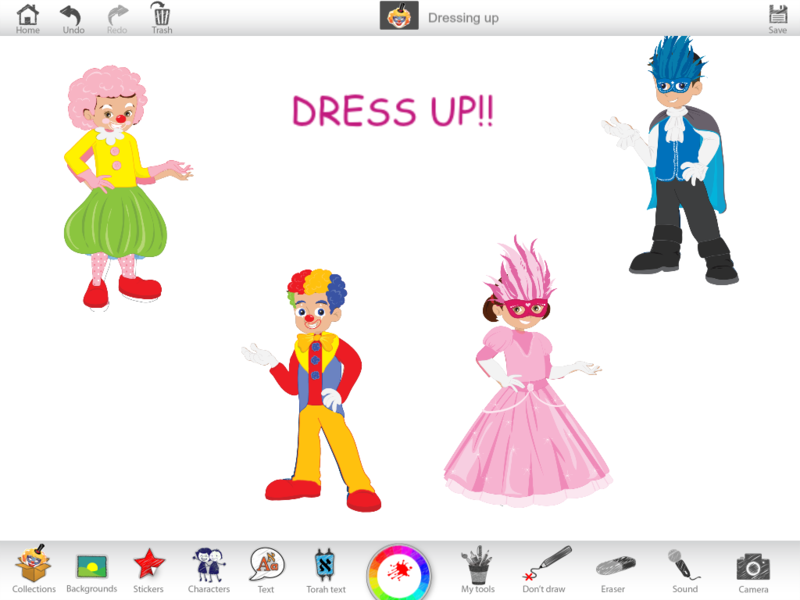 5d) You could even take a ‘selfie’ of yourself using the Camera, and dress up your photo with the Costumes! 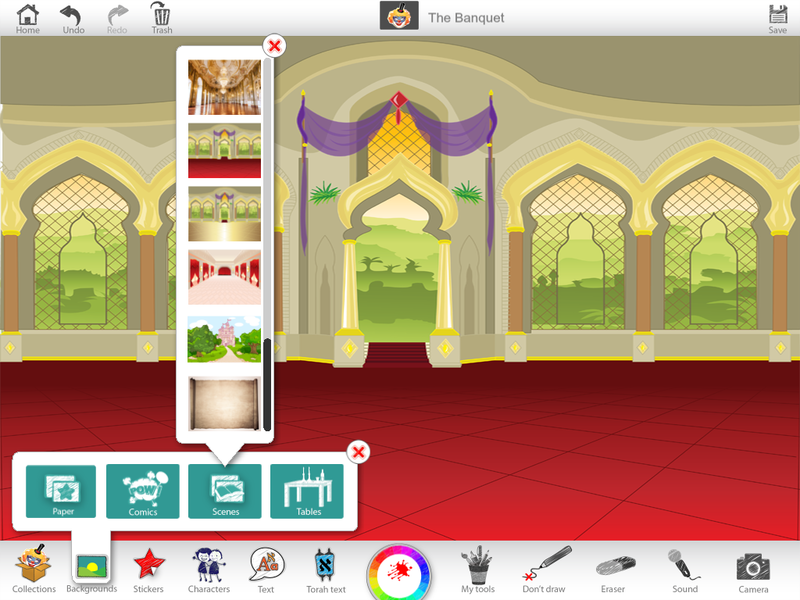 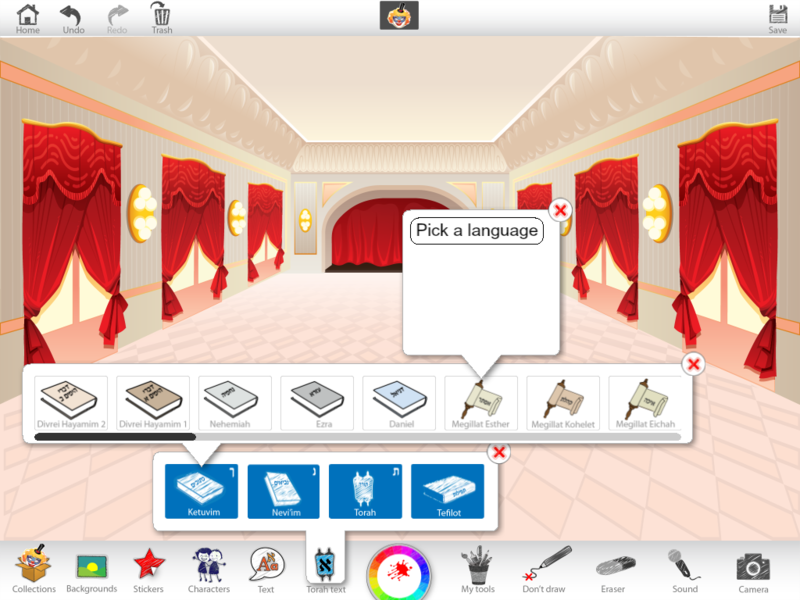 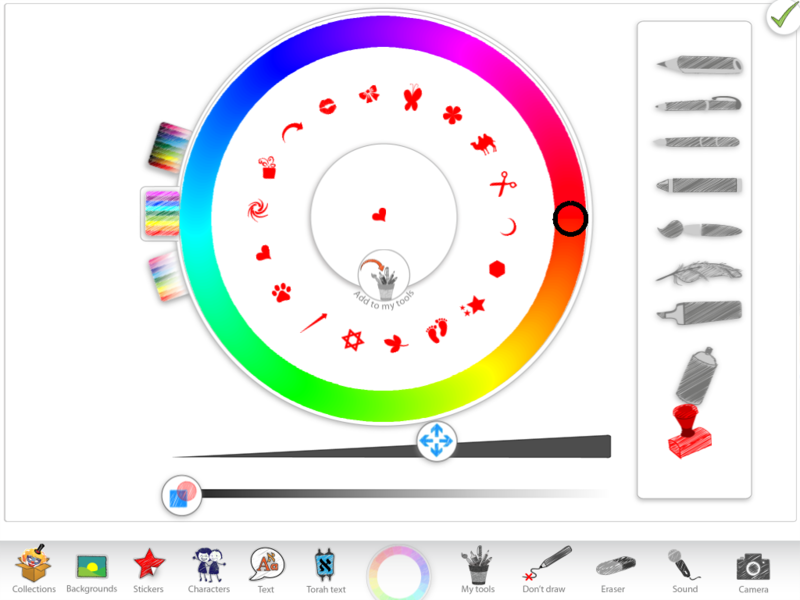 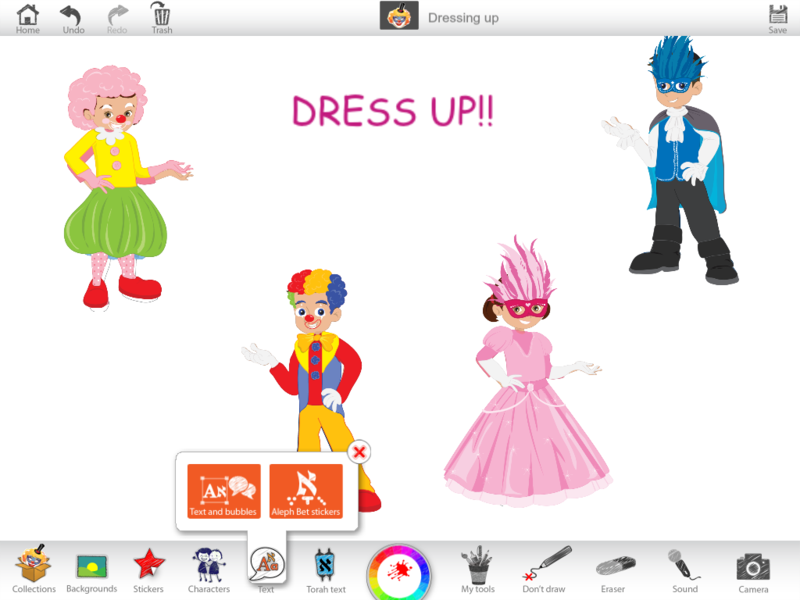 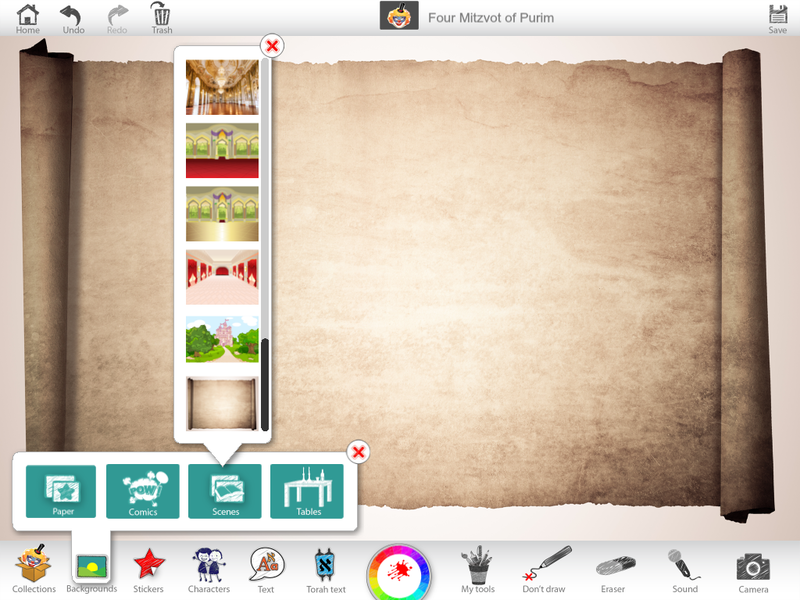 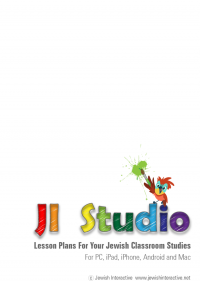 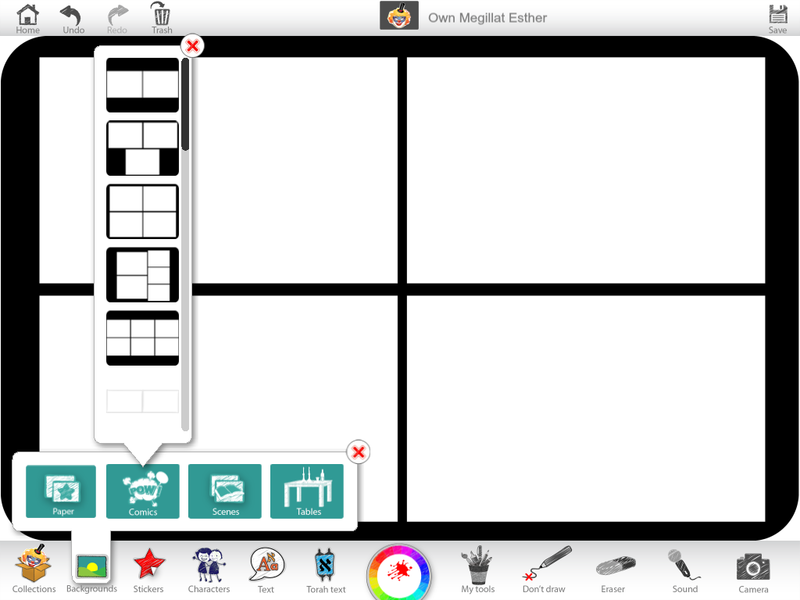 For great ideas on how to use JI Studio images in other creative apps to tell the story of Purim, check out this blog.